Moderator's note: ZSNES is recommended for playing this hack, since the music in some levels break in other emulators. fixme 2: The normal exit of Cave World 2-1 doesn't work, and I, levelengine, have not been able to find a fix. I'm New, but when it shows the tags, what does it mean, and why are they there? Like Fixme, Music Etc. Well i fingered out the real EXIT when cave world 1 starts up you can a p switch behind one of the semisolid then go left of the level activate the p switch enter the door beat the level and then you can actually find the exit! EU NÃO CONSIGO USAR A SAÍDA NORMAL DA FASE CAVE WORLD 2-1. O QUE EU DEVO FAZER? COMO EU FAÇO PARA A SAÍDA NORMAL DA FASE CAVE WORLD 2-1 FUNCIONAR? WHAT DO I NEED TO DO FOR SECRET OUTREACH OF THE FIRST WORLD PHASE TO WORK? WHAT IS THE SHORTCUT? This is the epitome of an all-around average hack. The level design is okay throughout, but never really picks up in variety or difficulty. The first world represents the type of design you'll experience throughout the entire rest of the game. Almost every boss is Big Boo, which is lame although some of the set-ups are interesting. The powerup graphics (specifically the cape powerup) inexplicably change during the hack, appearing as a leaf or tanuki suit in certain levels. The powerups do not functionally change, so the different graphics are a bit confusing. There are few overworld events, which is a shame. The level design as it is, this hack could be pretty good if there was an interesting story or some neat ASM, but the plot is minimal and there's few custom resources beyond some graphics and music. On the positive side, there is quite a variety of music and palettes in the hack, so plenty of eye and ear candy. The palettes tend to be rather saturated, unlike most hacks, but saturated colors tend to look better with very cartoony graphics, imo. Why do we still accept broken music hacks in the database in this day and age? It's up to the creator of the game (Tobias94) to fix the music flaws and make a compatible version of the game that will run on accurate emulators like bsnes & snes9x versions 1.52 & higher. If he can't do so, then it's NOT your problem; it's his problem. Play this game only in snes9x 1.51 or earlier and in zsnes. ZMZ can't reliably run this game and may crash on there like in world 4-7. Get the secret exit of the first level in the second world. I never figured out why the normal exit wouldn't work, because in the overworld editor, all the settings look fine. How do you open this with zsnes? Bit boring to play, and it isn't error free. The map paths don't animate, there are some graphical glitches, (is Mario sticking his pinkie finger up when he finishes a level, or what way is his hand twisting to do what he does? ), the ability to fly has been removed (sadly, 'cos these levels are so boring, you just wanna fly over them to get to the end quicker) and not sure why mushrooms keep coming out of ? blocks after you are already super. Levels do seem to follow a certain template and can be very repetitive. Nice use of custom music though, although that opening sound effect when you start the ghost house in W1 is rather excessive and it certainly made me jump when playing with headphones on. Very loud and not necessary really. It's OK for what it is, and it is nice to see a full 90+ level hack, but it's not the best one out there. Feels like a whole lot more could have been achieved if some more time was spent on it. 4. Download the hack, you should now get an .ips file. 5. 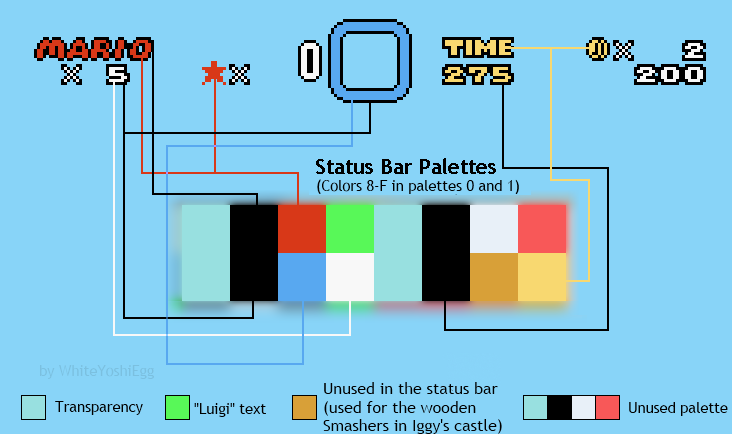 Open up the .ips file with LunarIPS, and put it on the Super Mario World ROM. How do I run the application? Every time I try it says that it can't because it's trying to change my pc. The hack was okay, in terms of "does it at least work". There's a lot of custom music sure to keep your ears satisfied, and the graphics are all right, but palettes could be better. The level design however is often amateur, as it's often just ground, pits, and enemies, with very little variety. Sure we get the items here and there, but it often feels like you're doing the same thing throughout the entire hack. It started out all right but never really took off. In fact, that made it get less interesting the more I played it. Needless to say, this hack needed more variety aside from run and jump.